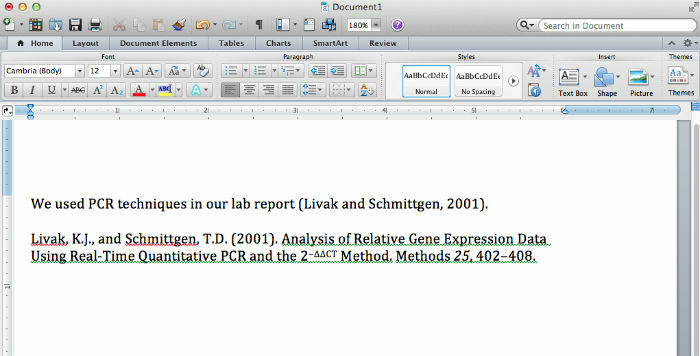 Melissa Beers and other lab instructors were seeking to improve the quality, consistency, and correctness of citations in the many lab reports required in the main intermediate level biological sciences class, BISC 220 - Cell Physiology. Meghan Gamsby, science librarian, was looking for opportunities to reach students in an organized way and to teach EndNote at an appropriate time. In the first lab session of Spring 2014, students visited the Science Library Computer Classroom for a hands-on learning session on how to use EndNote and perform basic literature searching. This session killed two birds with one stone: citations quality improved and Meghan was able to reach more students in a systematic way.